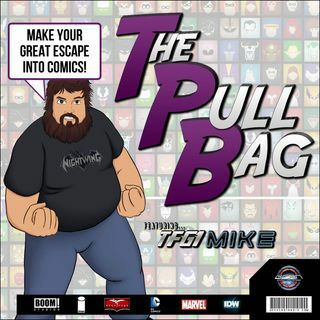 TPB Back Issue Classics Episode 84 is here! Cue Kenny Loggins because THIS IS IT !!! Mike and Ryan return to Talkin' Transformers... We are More Than Meets The Eye, we are Robots in Disguise! We continue #AutobotlyApril 2017 by talking about the aftermth of the Combiner Wars!! Where will Cybetron and Earth go from here? Will Starscream's agenda be what Cybertron needs? Can Optimus Prime lead Earth the way he should? Find out the answers to these questions and more. You'll only ... See More find it here inside The Pull Bag! TRANSFORM AND ROLL OUT! !